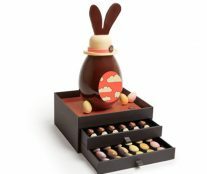 The creativity of Pierre Marcolini is once again present in his trompe l’oeil Easter collection, in which one cannot stop wondering: is it an egg, a rabbit, a hat? 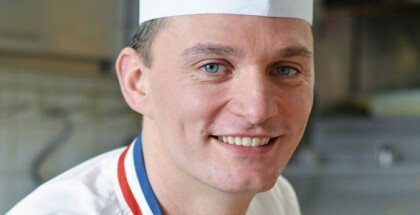 Marcolini’s avant-garde approach is reflected in The Egg Hat. 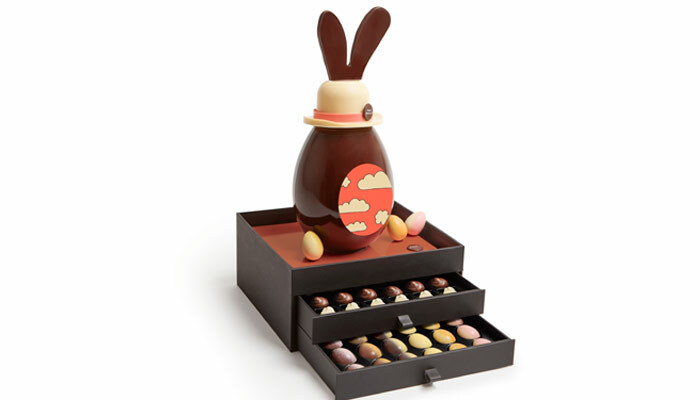 A piece made with a Maison Dark chocolate egg topped with a big-eared white chocolate bowler hat, complemented by two drawers filled with a lot of mini eggs and caramel animals. 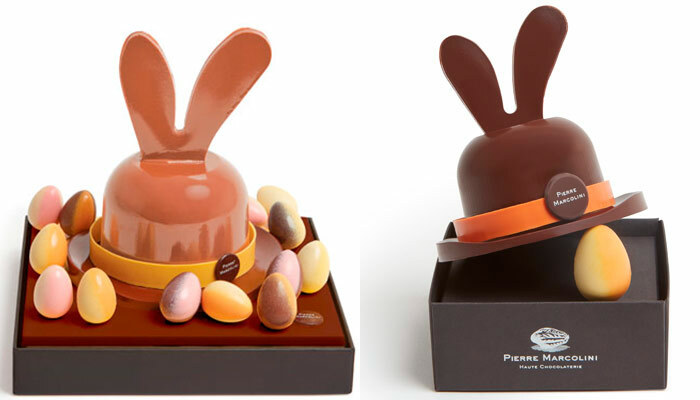 In this same enigmatic line, Marcolini proposes The Big-eared Hat, a chocolate bowler with milk and white chocolate, accompanied by 16 small eggs in four flavors (White chocolate pistachio praline, White chocolate almond praline, White chocolate hazelnut praline, and Milk chocolate nougat praline). 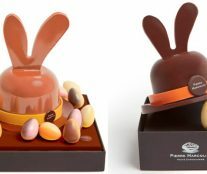 In addition, its small format, Mini Big-eared Hat, is available in three versions (dark chocolate, milk chocolate, and white chocolate) and each of them hides a small praline egg. 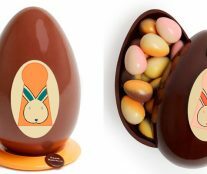 And for those who are most playful, The Mystery Egg, in dark chocolate or milk chocolate, in which there is a mysterious lock and a rabbit drawn. 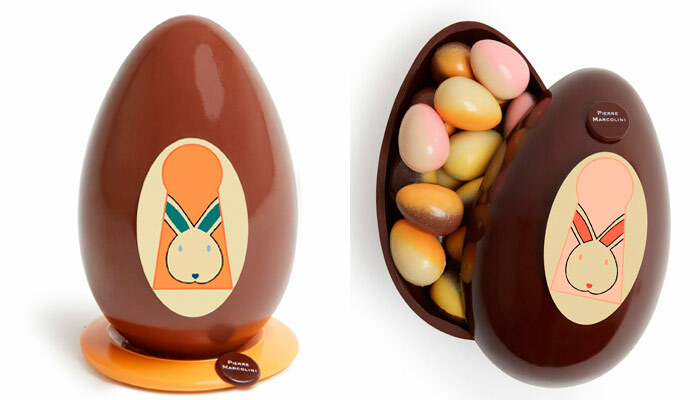 Those who dare to open them, will find a sweet surprise: delicious small praline eggs.